I’m not sure if there’s anything I’m looking forward to more… At least, in terms of new TV series. Loved Neil Gaiman’s novel, which I read 15 years ago (and feel like re-reading soon). American Gods is published in the US by Harper Collins, and in the UK by Headline. The city of Bulikov once wielded the powers of the gods to conquer the world, enslaving and brutalizing millions — until its divine protectors were killed. 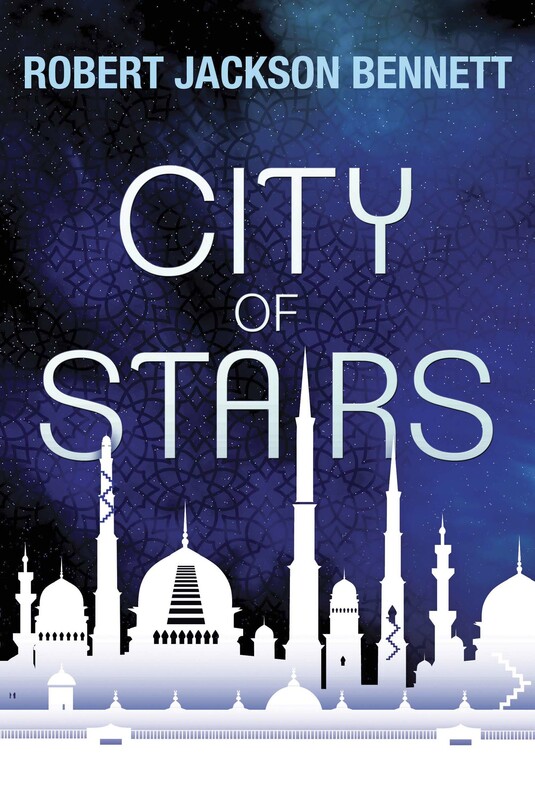 Now Bulikov has become just another colonial outpost of the world’s new geopolitical power, but the surreal landscape of the city itself — first shaped, now shattered, by the thousands of miracles its guardians once worked upon it — stands as a constant, haunting reminder of its former supremacy.Into this broken city steps Shara Thivani. Officially, the unassuming young woman is just another junior diplomat sent by Bulikov’s oppressors. Unofficially, she is one of her country’s most accomplished spies, dispatched to catch a murderer. But as Shara pursues the killer, she starts to suspect that the beings who ruled this terrible place may not be as dead as they seem — and that Bulikov’s cruel reign may not yet be over. Now Tristia is on the verge of collapse and the barbarians are sniffing at the borders. The Dukes bring chaos to the land, while the Greatcoats are scattered far and wide, reviled as traitors, their legendary coats in tatters. All they have left are the promises they made to King Paelis, to carry out one final mission. And, finally, you can read an interview with Sebastian de Castell, here. I really can’t wait to read the next book in the series. Long may Falcio et al find their adventures in print! This post is a bit of a break from the norm for me. I’m also not really sure what it’s meant to do. It’s a bit waffley, for which I apologise only slightly, and in not entirely a heartfelt manner. Fiction awards mean very little to me, being neither author, editor, publisher, nor agent. (At least, not yet…) This means I have never (to my recollection) written a post of any worth/note about shortlists or winners. Award lists tend to pass me by without comment or thought. Invariably, this is because there aren’t any books featured that I’ve read – or, if there is, it is one that didn’t leave much of an impression one way or another. This year has been a bit different, however. For example, Kameron Hurley’s God’s War has been cropping up on a few shortlists, and it’s a book I rather enjoyed. So that made a nice change. 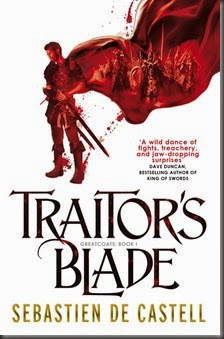 The shortlists for the Gemmell Awards were announced today at Eastercon. In a real break from the norm, the shortlist for the Legend Award (best fantasy) features not only five authors I have read, but also a book I feel particularly strongly about. So I thought I’d write a quick blog post about it. 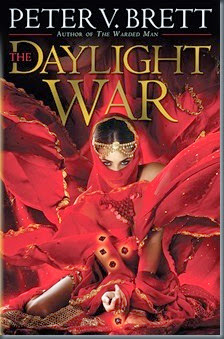 The book in question is Peter V. Brett’s The Daylight War, the third in his Demon Cycle series. I’ve been experiencing a phase of fantasy disenchantment, lately. In fact, looking back over the past year or so, I’ve read far less (epic) fantasy than I would have expected. I have picked up and discarded more fantasy novels than I usually do, too. I just can’t get into anything, nor can I rustle up the enthusiasm to sit through hefty tomes. There is one clear exception to that, though, and that’s Brett’s series. Every time I think about reading a fantasy novel, I find myself wistfully wishing that the next novel in the Demon Cycle was already available. This is because there are very few authors who do it better. That’s not to say other fantasists writing today aren’t good, or are lacking in talent – far from it. But, really, I think the only epic fantasy series I would happily drop everything to read the next book in, is the Demon Cycle. Everything about the novels just works for me – the story, prose, characters… everything. I don’t think, across the three novels published so far, I’ve come across anything that gave me pause. I read the first, The Painted Man, in three sittings – the final sitting a 300-page marathon, which I finished at 4am. I read the second and third novels back-to-back (something I rarely do), eschewing everything else – true, I was unemployed at the time, and had little else to do; but nevertheless, all I wanted to do was read the books. I haven’t experienced that level of Reading Insistence since I read Scott Lynch’s The Lies of Locke Lamora – the book that got me back into reading fantasy in the first place (as I think I’ve mentioned ad infinitum on the blog). In the case of Lynch’s series, I went straight out and bought Red Seas Under Red Skies when I was only two-thirds of the way through the first book – I even didn’t mind that it was the (frankly ghastly) shiny red-covered edition. Since then, and given the understandable delay before the third book came out, I have been almost afraid to go back and re-read the series to catch up. Oh actually, that’s not entirely true – I was also incredibly impatient about getting hold of Brent Weeks’s Night Angel Trilogy. I must have pestered the Orbit publicist to the point of irritation, requesting the final two books… I was also really late to Abercrombie’s First Law trilogy, and I do consider Before They Are Hanged to be one of my favourite novels. Regardless, the point I’m trying to make is that very few epic fantasy novels have really grabbed hold of my imagination and attention. And, I think, none more so than Brett’s Demon Cycle. So, to bring this ramble back around to the topic at hand, I really hope The Daylight War wins the Legend Award. The David Gemmell Awards ceremony will take place at London’s Magic Circle on June 13th, 2014. 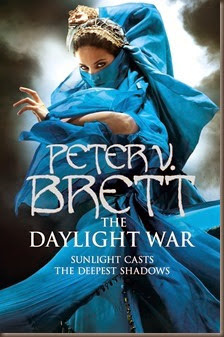 Peter V. Brett’s The Daylight War is published in the UK by Voyager, and in the US by Del Rey. The first two volumes in the series – The Painted Man (UK)/The Warded Man (US) and The Desert Spear are published by the same publishers. Two novellas have also been collected into a single volume: The Great Bazaar and Brayan’s Gold. If you haven’t read them yet, and have any interest in fantasy, then I could not recommend them enough. You won’t regret reading them, I’m sure. My reviews of the books: The Painted Man, The Desert Spear, The Daylight War and The Great Bazaar and Brayan’s Gold. For the Morning Star category (best debut), I really enjoyed Brian McClellan’s Promise of Blood – it is also the only novel on the shortlist I’ve read. It’s hardest to belong when you’re closest to home… One wet Friday evening, Professor Andrew Martin of Cambridge University solves the world’s greatest mathematical riddle. Then he disappears. When he is found walking naked along the motorway, Professor Martin seems different. Besides the lack of clothes, he now finds normal life pointless. His loving wife and teenage son seem repulsive to him. In fact, he hates everyone on the planet. Everyone, that is, except Newton. And he’s a dog. Can a bit of Debussy and Emily Dickinson keep him from murder? Can the species which invented cheap white wine and peanut butter sandwiches be all that bad? And what is the warm feeling he gets when he looks into his wife’s eyes? 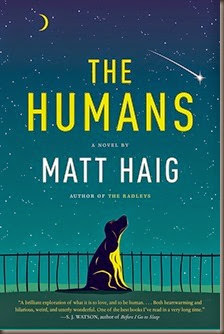 The standfirst says it all, really: The Humans is an excellent examination of what it means to be human – everything from the horror and ugliness, to the beauty and wonder of life on Earth. It is a novel that is filled with insight, depth, affection, and humour. From the beginning, we are introduced to an imposter on earth – an alien who has taken the place of one of Cambridge University’s most respected mathematicians, who has just solved one of the great mysteries of mathematics. The race from which this being hails believes the solution will bring great upheaval to the universe: it could, after all, allow humans to leave Earth, and venture out into the universe. This would, of course, bring all their baggage with them. After all, from the outside, human can come across as miserable, money-obsessed, violent assholes. As the new Andrew Martin navigates his new life, quashing all knowledge of the real Martin’s discovery, he finds himself confronted with everything that is good about life as a human. His obliviousness to what the real Andrew did before he was replaced, gives him a childlike innocence and fresh slate – something that has a real impact on his family life, in both positive and negative ways. He starts to go native, despite the frequent warnings of his superiors – the Hosts. Haig is fast becoming one of my favourite writers, and I’ve only read two of his novels. The Humans is a must read. 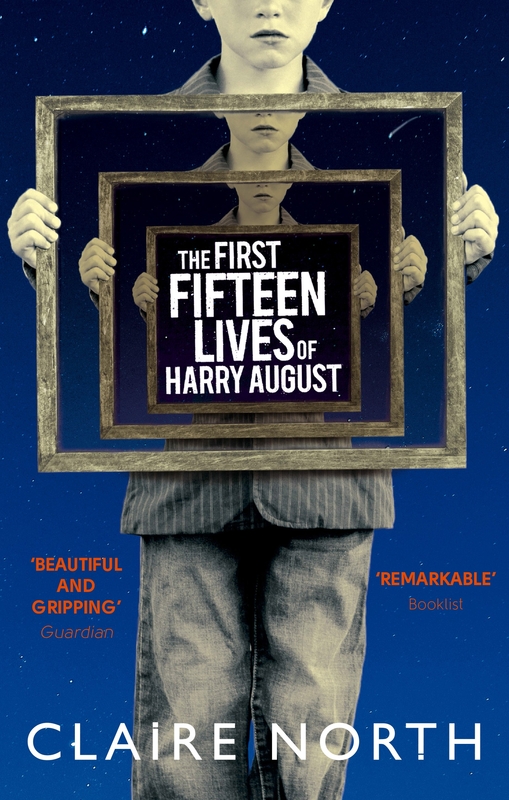 I thoroughly enjoyed this, and can’t recommend it enough.